The global market for managed security services (MSS) market is expected to reach $29.9bn by 2020, a report has predicted. That would represent a CAGR of 16% over the next five years for the market for outsourced cyber security and risk management services. Conducted by Allied Market Research the report – called Global Managed Security Services Market -Deployment Mode, Organization Size, Application, Verticals, Trends, Opportunities, Growth, and Forecast, 2013-2020 – also revealed that cloud-based managed security services would overtake on-premise deployments by 2016. And amid the growing BYOD (Bring Your Own Device) trend the market for endpoint security applications – a “policy-based approach to network security that requires endpoint devices to comply with specific criteria before they are granted access to network resources” – is projected to grow faster than any other segment at a CAGR of 25% up to 2020. Driven by cost constraints small- and medium-sized businesses are expected to lead the adoption of cloud-based MSS. The North American region, which has the world’s most stringent data protection laws, will continue to dominate the global market with Europe the second-largest market. The emergence of data protection laws in other jurisdictions is helping to drive a greater focus on data security globally. Banking, financial services and insurance as well as the telecom and IT sectors are expected to account for much of the growth in MSS adoption. Hospitals and health clinics are also increasingly outsourcing security functions as they seek to protect patient health records. The threat to intellectual property would also flags the manufacturing sector as a growth market for MSS providers. Leading Managed Security Services Providers (MSSP) including IBM, Dell SecureWorks, HP and Cisco are launching advanced and customised security solutions to help clients combat sophisticated attacks from organised cyber criminals. Recently, IBM and AT&T introduced new services comprising security network infrastructure with advanced threat monitoring and analytics. Executives consider data theft and cyber crime to be the biggest threats to their organisation’s reputation, with a shortage of capital and skilled IT resources believed to be the greatest obstacle to combating threats. 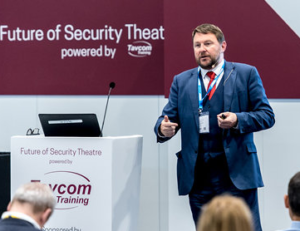 Secured Information and Event Management (SIEM), an emerging field for the automatic collection, correlation and analysis of log and alert data, is a burgeoning discipline. Cloud-based Managed Security Services to Overtake On-Premise Deployment Within 12 Months A study by Allied Market Research also projected sharp growth in the managed security services market.